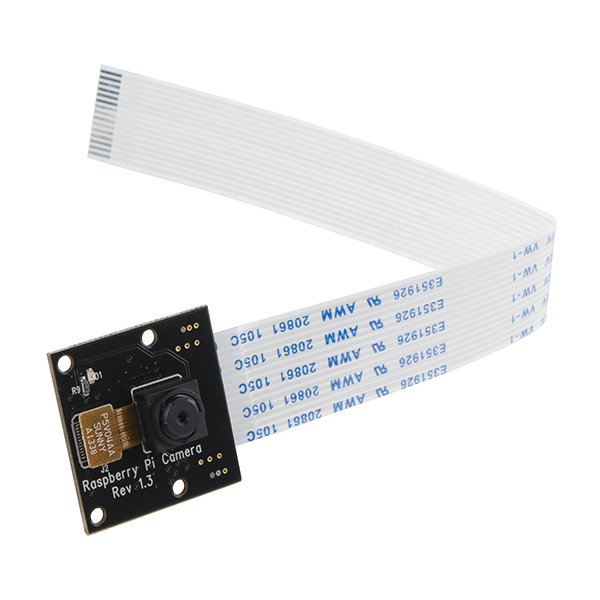 This 5mp IR (Infrared) camera module is capable of 1080p video and still images and connects directly to your Raspberry Pi. 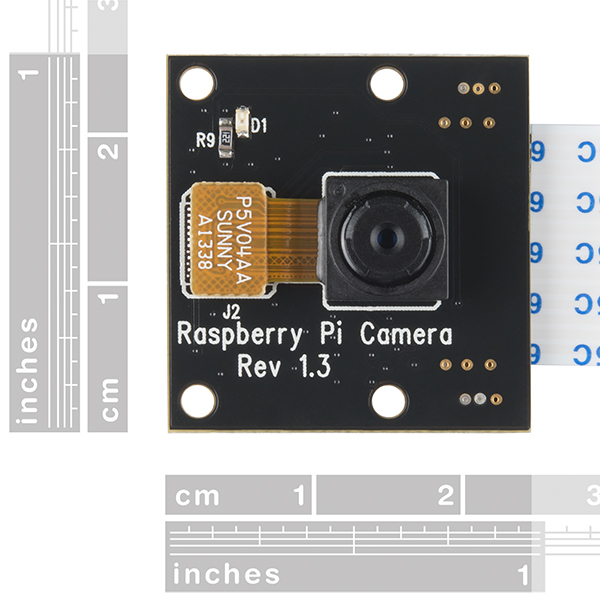 Similar to the non-IR version Raspberry Pi Camera, connect the included ribbon cable to the CSI (Camera Serial Interface) port on your Raspberry Pi, boot up the latest version of Raspbian and you are good to go! At 25mm x 20mm x 9mm and weighing a little over 3 grams this board is pretty small which makes it perfect for mobile or other small applications that require you to see in near dark. The sensor has a native resolution of 5 megapixels with a fixed focus lens on board. The camera is capable of 2592 x 1944 pixel static images and also supports 1080p30, 720p60 and 640x480p60/90 video. I'm trying to find actual technical information on this part. I'm seeing if I can get it hooked up to an Intel Edison, but am having a hard time finding the technical docs on the electrical properties, pinout, and protocol for this board. Does anyone know where that info is hidden? Is it possible to connect two cameras to one RaspberryPi, i.e. one for Visible and one for IR simultaneously? 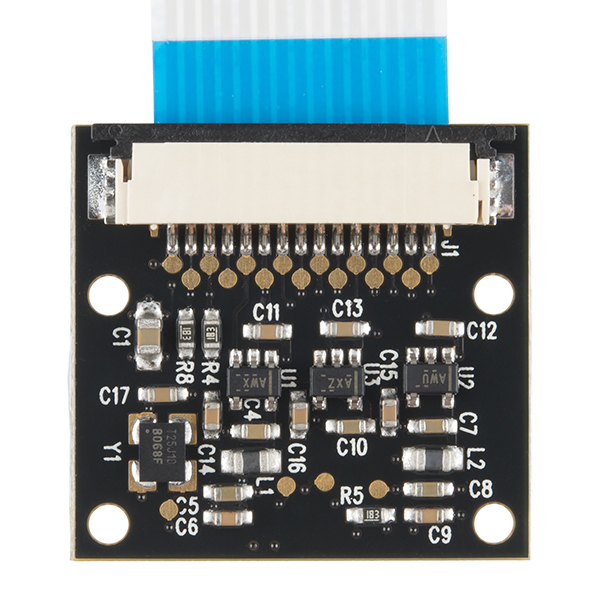 Noob question but, you can put a longer ribbon cable on this to extend it right? Will the camera take decent pictures in bright sunlight without a neutral-density filter? 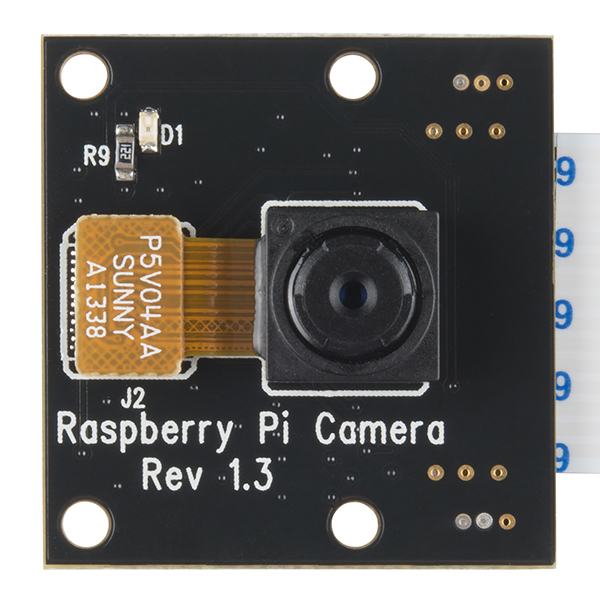 Can this camera run at 320x240 resolution?Did any one try.Because I want to use opencv on the Pi and the algos work better at 320x240 rather than at 640x480 or higher resolution. Is there any pinout information or datasheet(s) for this camera? I'd like to use it in a non RasPi application. Just to be clear, this is still capable of seeing non-infrared light as well, right? I believe it is a play on words, the board is black (Noir) and the IR filter has been removed (No Infrared). Rob goes into it a little more detail in the Product Video. Itâs also a play on a popular radio show segment from A Prairie Home Companion, called Guy Noir. At least, I hope itâs that and not the fact that I listen to too much NPR. So for an application where I'm only interested in the IR, is there a cheap filter I can use in front to block visible light? Black developed film negatives work excellently - I tested a piece of Kodak film on a Perkin Elmer spectrometer and it passed everything over 730nm (near-infrared, what you're looking for) with a transmittance of close to 97%, while blocking everything below 690nm completely. It's super cheap too. Keep in mind the white balance on the camera may be thrown off, causing all NIR to appear purple. Modern film negatives can be made from polyester or cellulose acetate. I know polyester film stock is transparent to infra-red light but acetate might not be. You can detect polyester film stock by viewing it in between two polarising filters and it should have an iridescent effect. All the Ilford film I've ever used has been acetate-based. This could be a basic question, but I will ask it anyway. Exactly what is black developed film negative and how would I make it? Or did you mean developed black and white film? I would use a R-72 as mentioned below, but I imagine that connecting it to the pi cam could be difficult. Thanks. Go to CVS, buy a disposable camera, take some photos of the dark and some photos of really bright light, get them developed, and pick the darkest one out of the negative reel and cut it to size. What I did was, cut a circle of clear plastic out of a blister pack and color it black with a sharpie marker. Did this on my IR-adapted CVS camcorder, back in the day. Works a treat! It would be easier to just get this one instead. It comes with the filter installed. If one wants to block most visible light and let (near)-IR through, an infrared photography filter is what's needed. I picked up a cheap R72 one at 52mm several years ago for my SONY (which has a Nightshot mode that flips the IR blocking filter out of the way), but 20mm ones and others often used for security cameras can be had for around $10. There's probably cheaper avenues if you get only the glass (or plastic as the case may be) without the threaded filter holders. Sorry, I just caught that! I have seen some red plexiglass that's dark enough to block almost all the visible out while looking like clear plastic to IR. That might be a cheap route to go . I've actually tried red plexiglass (and red glass) in a spectrometer and they always pass above 600nm... not too infrared. Black film negatives are better. In good conditions, it produces a high quality output; but in less than ideal situations, it still have a pretty good image. Also has a very good sensitivity: using the 'night' input mode, it is able to generate a decent image even in extremely low light conditions.